It’s been a minute since I did a Denver Series post since I’ve spent most of my months out of town lately. 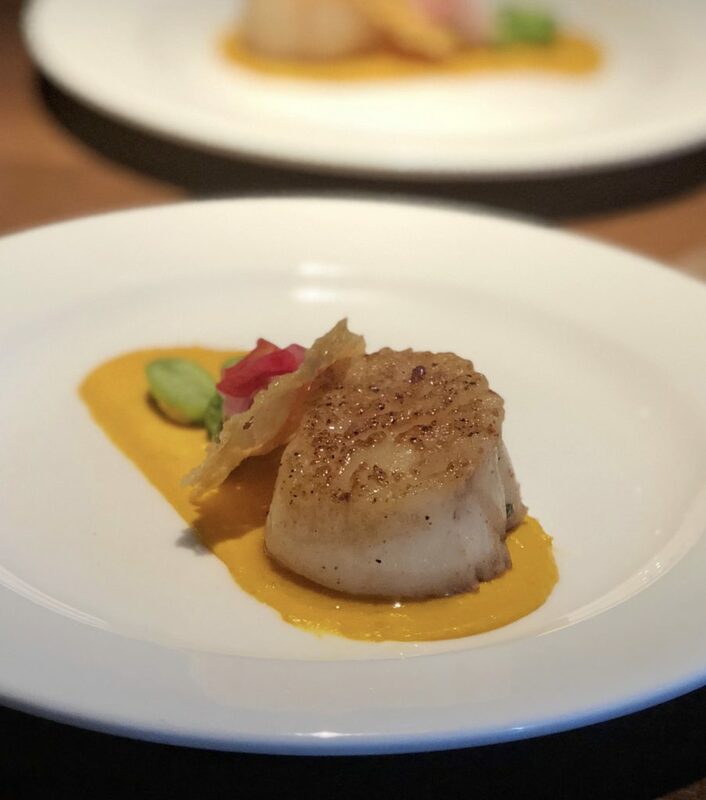 In case you’ve missed any of those posts, I’ve shared my Favorite Restaurants, Favorite Things To Do, and Best Places To Stay while in Denver and I’m constantly adding to those posts as I experience more of Denver while it continuously grows. I haven’t stayed at many hotels here in Denver because duh, I live here. 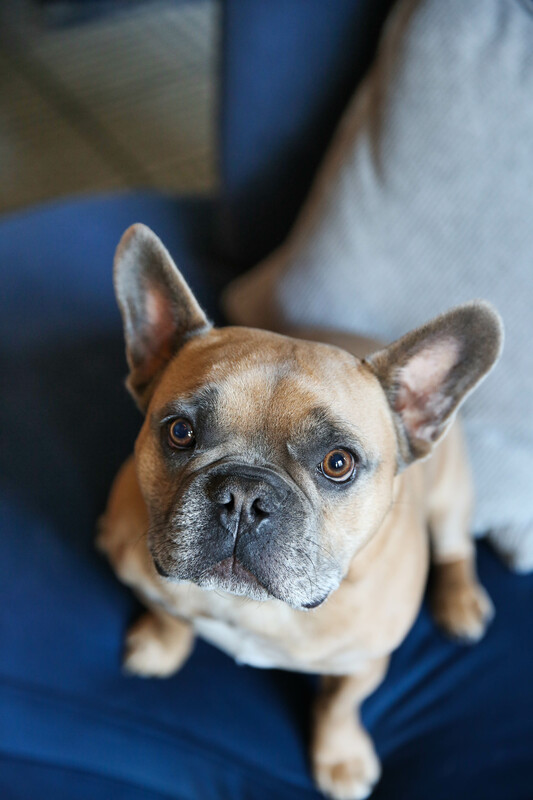 But when Hotel Monaco asked me to come stay in one of their newly-renovated rooms with Jackson, I couldn’t say no. I’m always looking for new experiences to share with readers who are coming to Denver and looking for places to stay. If you haven’t heard of Hotel Monaco, it’s in the heart of Downtown Denver in walking distance to many restaurants and bars. But it also offers a ton within the hotel. 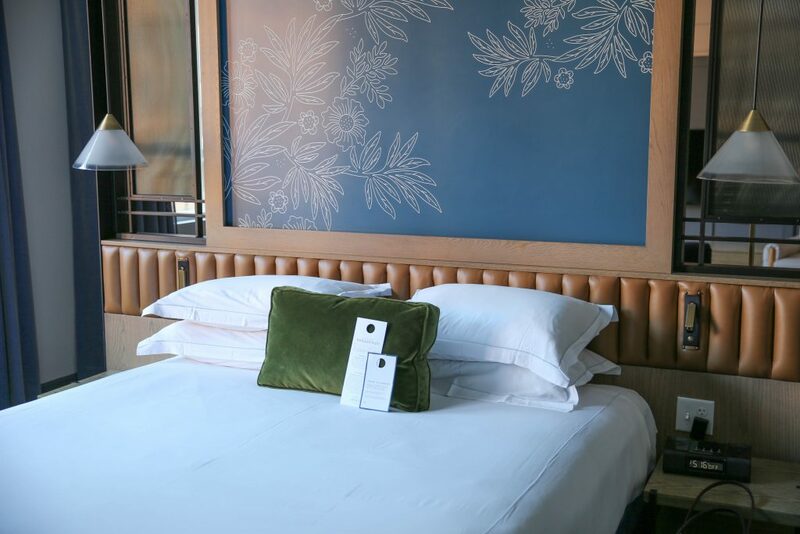 Not only will you get beautifully renovated rooms, but the hotel offers beautiful views of downtown, a VEDA spa and salon, a small gym along with discounted rates to a larger gym in town, and a fantastic restaurant called Panzano. 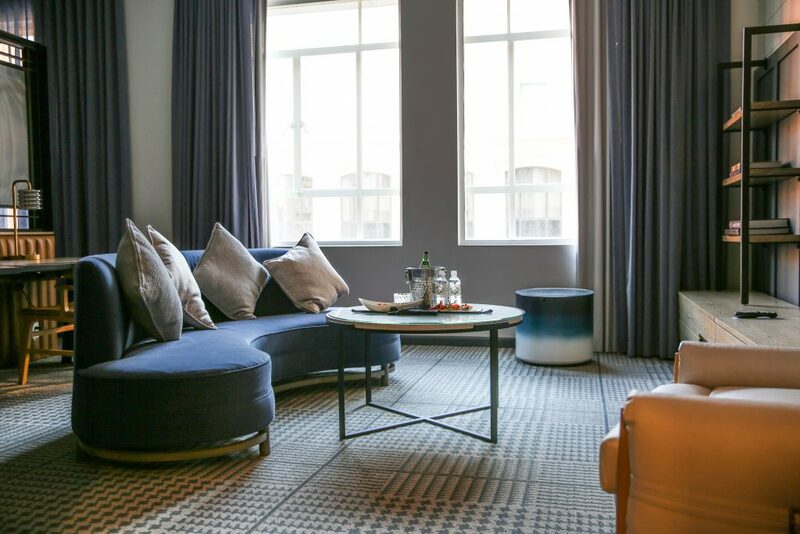 They also offer happy hour in the living room of their lobby every evening with free beer, wine and snacks from Panzano along with free tea and coffee every morning. 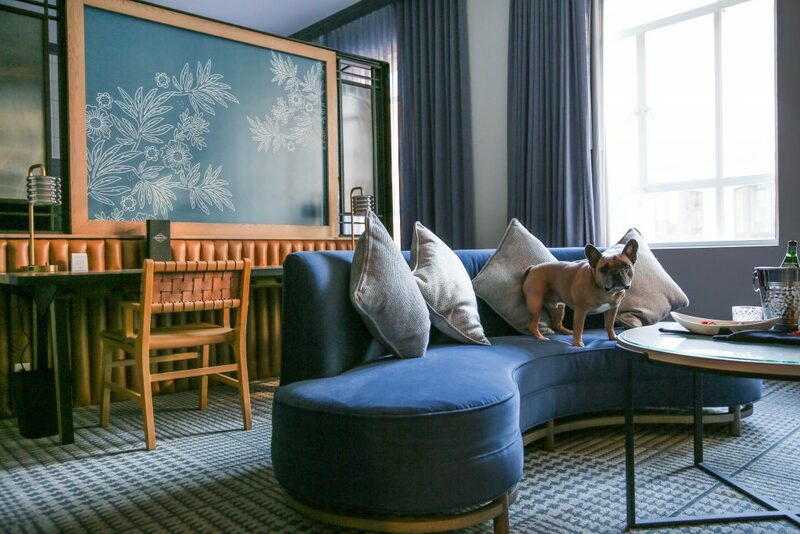 And Hotel Monaco is also dog-friendly! Which means you can bring your pup with you and they will give you a dog bed and dog bowls to make sure your little guy is happy as can be while you’re there. They also offer pet-sitting and dog walking through their concierge and there is a small dog park about 2 blocks away from the hotel! When we stayed at the hotel, we were welcomed by the most beautiful room. 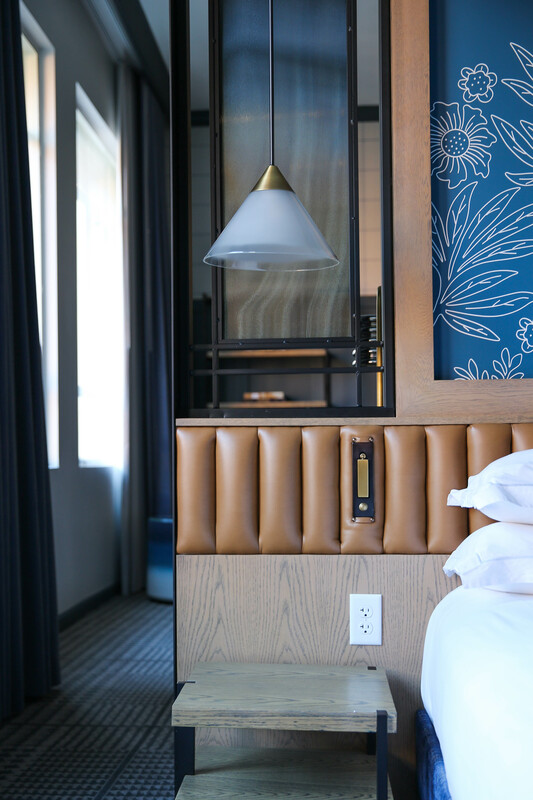 Since the rooms have been recently renovated, no detail has been overlooked. The rooms are filled with elegant details, neutral colors and bold edges and metallics. It’s a super comfortable, modern space without feeling cold and unwelcoming. Plus each room is filled with modern original works by local artists, which I thought was pretty cool! 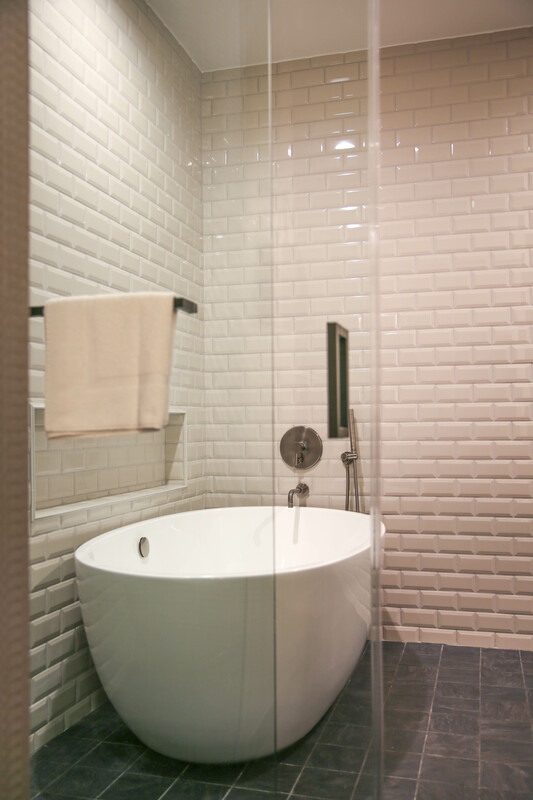 But the coolest part of all in our luxury suite was definitely the HUGE bathroom with dual sinks, closet drawers and the most giant, beautiful tub I’ve ever seen, alongside a walk-in shower. I could have slept comfortable in that bathroom and been completely happy, but I went for the bed instead. One of my favorite parts about staying at Hotel Monaco is having the amazing restaurant Panzano right near the lobby. Whenever I stay at hotels, I am always sure to check if they offer a restaurant within the hotel. Especially one that offers gluten free items. That way, when I’m gearing up to leave town, I don’t have to worry about where I’m going to get food and if it’s going to have to be at the airport. And Panzano offers a full gluten free menu so you don’t have to ask a million questions when ordering. We ended up eating dinner at Panzano while we stayed at Hotel Monaco and I’m so glad I finally tried this restaurant! I have a running list on my phone of places to try and Panzano has been on that list for quite a while. But since it’s Italian, I always hesitated because I didn’t think they would have many gluten free options. But man, I’m stupid. 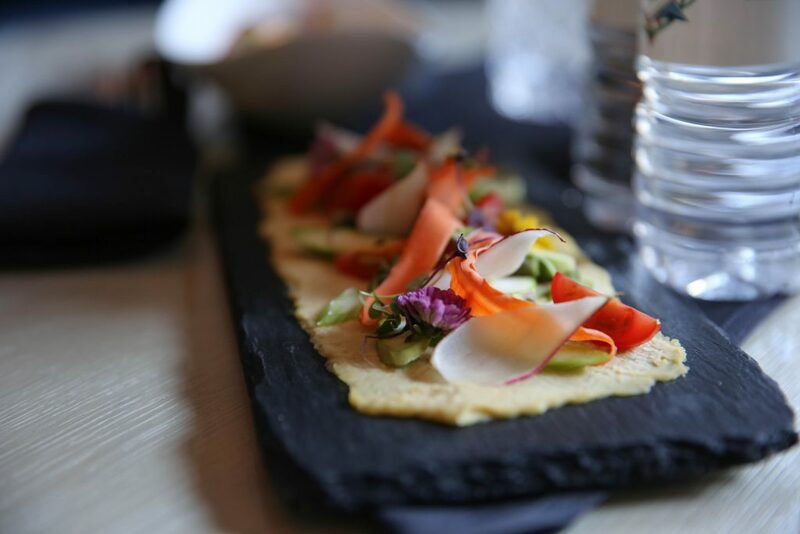 They have gluten free menus for breakfast, brunch, lunch and dinner! 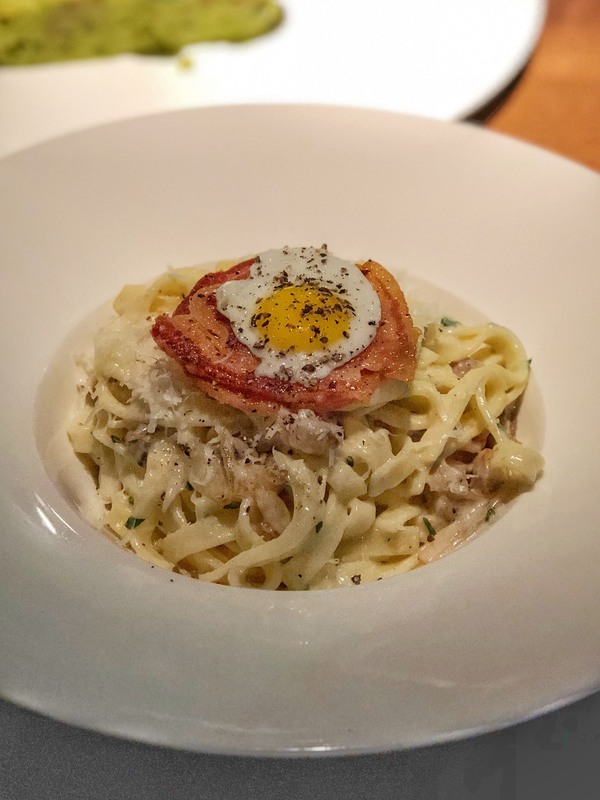 We ended up ordering their famous crispy brussels sprouts (which they pan fried to make sure there was no cross-contamination from the frying oil), one of their delicious cocktails, then we shared the Fettuccini Alla Carbonara that comes with gluten free fettuccini pasta, quail egg, crispy pancetta, and parmegiano reggiano and the Filet di Manzo which is a 8oz beef filet, basil scented yukon potatoes, sherry vinegar glazed cipollini onions, in a cracked black pepper bistecca sauce. It will all so damn good but we had absolutely no room for dessert sadly…especially because I saw the dessert at the table next to us and it looked fantastic. Now I just need to make it in for brunch to try one of their eggs benedicts and gluten free pastries. One of my favorite parts about Panzano is they make their own gluten free bread and pizza dough every single day. So we had their gluten free focaccia bread to start and it was OUTSTANDING. I can’t emphasize enough how good it is. You can even order your own loaf from them to pick up…which could get dangerous for me since it’s not too far of a drive for me. But for real…this gluten free bread was life changing. One of the nice things about Hotel Monaco is that it’s located in the heart of downtown so it’s an easy cab (or pedicab) ride to many bars, including one that our friend was DJing at that same night. So we left Jackson behind to enjoy the hotel room by himself for a few hours while we danced our faces off before heading back to the hotel to pass out for the night. I don’t think Jackson really enjoyed our time away, but he doesn’t even like when I leave the room to go to the bathroom so I guess I can’t expect him to love having a giant hotel room to himself. He was quite happy when we came back and cuddled up in bed with him. The next morning, Jackson woke me up nice and early to head out for a bathroom break and a cup of coffee in the living room lobby. We spent the next hour cuddling on the couch while we watched TV before we headed back home to get back to work after our staycation. 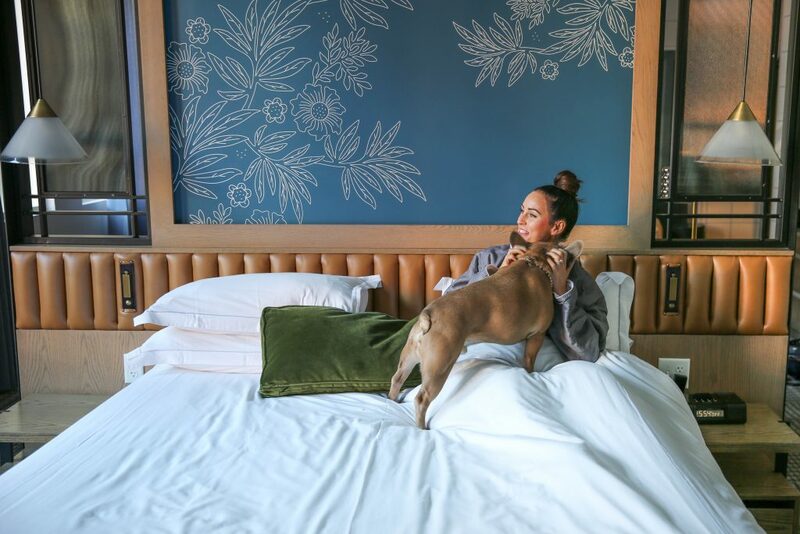 Sometimes you need a night away, but leaving your pup just isn’t going to happen. Which made Hotel Monaco the perfect place for a weekend getaway with my favorite man (don’t tell my husband I said that). Now it’s time to start planning more Denver weekend dates with my little man and get to Panzano for brunch ASAP! Hotel Accommodations provided by Hotel Monaco but all opinions are my own! Those photos of Jackson are too cute! The hotel looks like a beautiful place to stay and I love that they allow dogs – I’ll check it out if I’m ever in the Denver area. 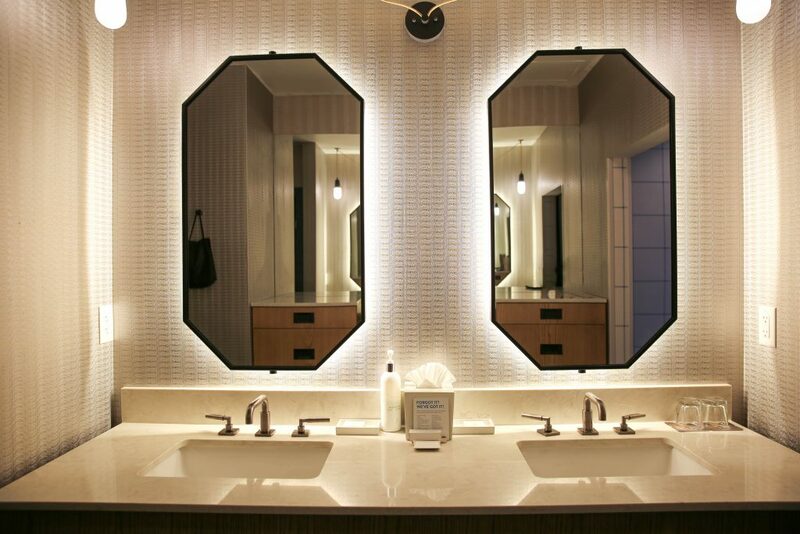 Loooove Kimpton brand Hotels!!!! They are the best! 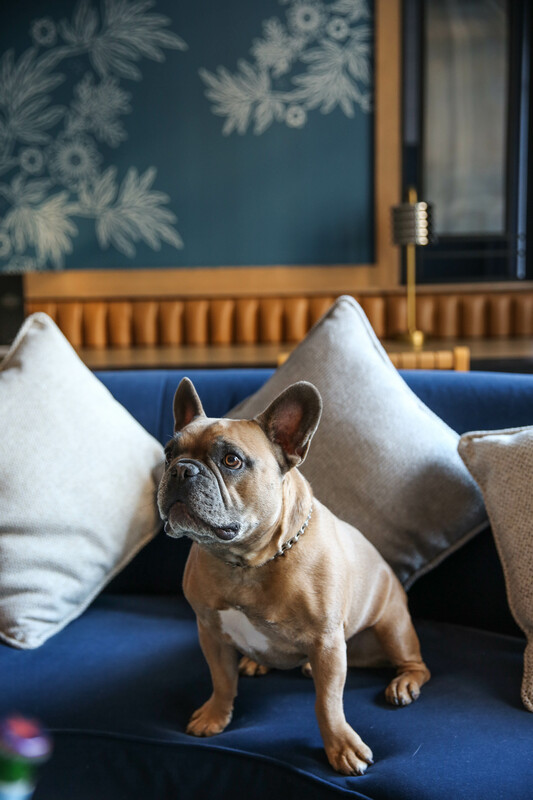 All pet friendly with no weight limits like most hotels! Stayed at the Hotel Monaco in DC for a marathon and another runner was at happy hour with her 2- 100+ Lb Bouviers! They were very accommodating to runners getting back to the hotel at or after checkout knowing the issues people had with the metro… allowing late checkout for no fee so we could get a hot shower and gather our things. No matter where I travel I always try to stay at a Kimpton hotel!!! Looks awesome and that Jackson is the sweetest little nugget!!! Thanks for the write up — I live in NE and wouldn’t mind headed to for an anniversary celebration with my hubby! I am staying in Hotel Monaco in Denver right now! It’s beautiful! how funny!! hope you had a nice stay there! I think I will be traveling to Denver in January. I am from Southern California and I am not very pro at dressing for cold weather. If I mainly pack jeans, boots, sweaters, jacket, should I be good? Also, what are some of your favorite winter things to do? january is usually pretty cold in Denver. you should be good with all those pieces! warm boots, a warm jacket and a scarf always help when the temperatures drop! Thanks! I can’t wait to visit. I will be visiting Denver for the first time in January. I am guessing that it will be cold. I’m from Southern California, so I am not used to that. :) What are some of your favorite Denver things to do during the winter? Also, will jeans, a warm jacket and boots keep me warm enough on a typical winter day?